The minute you enter this quaint shop you are struck by the ticking of centuries of time. The rich patina of mahogany and warm hues of brass speak volumes of the clockmakers art, and remind us of a level of craftsmanship and detail seldom seen in this day. 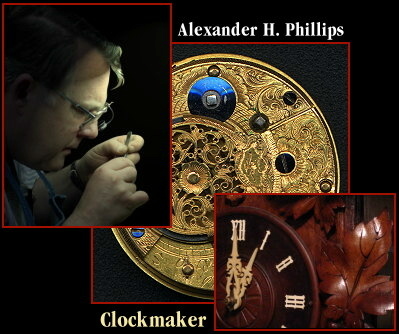 Whether you are looking for a special time piece, or need one repaired, we hope you'll visit the clockshop here on line, or in person on your next trip to Bar Harbor, Maine.